It’s been a few weeks since I returned to the United States from my summer internship, and I continue to see how my experiences in India impacted who I am as a person and the person that I hope to become in the future. To sum up the last few days of my time in India post internship, my co-intern, Gabriela, and I flew from the point of our internship to New Delhi. There we met up with three CASI interns who worked for Arivand for the summer and with whom I would spend the next two days traveling to Agra and Jaipur with. Those two days can best be described as being filled with lots of sightseeing and very little sleep. From Delhi to Agra to Jaipur and back to Delhi, I saw everything from the Taj Mahal to temples, all of which were breathtaking beauties. Following my expeditions with the Aravind interns, I returned to Delhi see and spend my final day in India with Gabriela and her parents, who decided to make a vacation out of Gabriela’s time in India. Following a day of visiting various locations, I made my way to the airport and, after over two-and-a-half months in India, began my journey back to the United States. When I look back on my experience, my incredible once-in-a-lifetime experience, I cannot help but feel grateful for all that I was able to see and do in India. Thus there is something that I must do: I must say thank you. Thank you for teaching me the true meaning of happiness. Thank you for showing me that living a fulfilling life does not mean living purely for material goods but for a deeper purpose. Thank you for the realization that surrounding yourself with people who understand you and make you happy is invaluable. Thank you for allowing me to meet people from different walks of life who have incredible stories and experiences to share. Thank you for making me step outside of my comfort zone and become okay with the uncomfortable. Thank you for reaffirming my desires to practice medicine and study public health. Thank you for putting me in an environment where I felt supported by the staff and workplace, as I know this was not the case for everyone. Thank you for reawakening my desire to interact with as many people from as many walks of life as possible. Thank you for exposing me to lives where having next to no material goods does not mean next to no happiness. Thank you for giving me a sense of closure in being able to see different parts of India, something that I’ve desired since I took my first trip to India nearly two years ago. I spent ten weeks in a location unlike anything I’d ever experienced before, and I will forever be able to think about with happiness and gratitude. 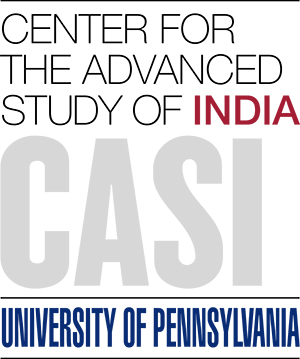 I cannot close without thanking the people who transferred my travel to India from a dream to a reality—CASI and IIP. I am eternally grateful for the opportunity that they rewarded me, and I will never forget how ecstatic I was when I learned that I had been chosen to participate in a CASI internship. As I prepare for the upcoming school year and volleyball season, I will hold the memories of my time in the Araku Valley and India close to my heart, and remember how truly lucky I was to spend my summer in a way that most cannot even imagine. Beautiful and introspective. Thank you for sharing. Class of 2019 in the College of Arts and Sciences at the University of Pennsylvania. Majoring in Health and Societies with a concentration in Public Health. Pre-med. During the summer of 2017, I am interning at Naandi Foundation in the Araku Valley, Andhra Pradesh, India.